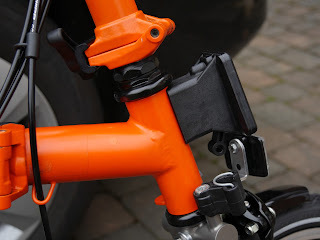 My Orange Brompton: Orange, black and titanium the new black? Orange, black and titanium the new black? 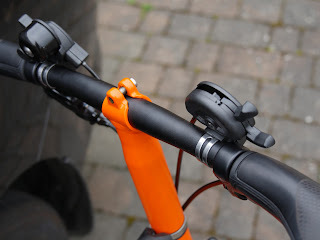 As many of you may have guessed it wasn't a case of farewell to my Titanium Orange Brompton, more of a farewell to some of the 'original' aspects. The good thing about owning a Brompton is that you are free to do just that. Add various parts - some produced by Brompton and some by third party companies. I have written before that Brompton as a company often miss a trick. 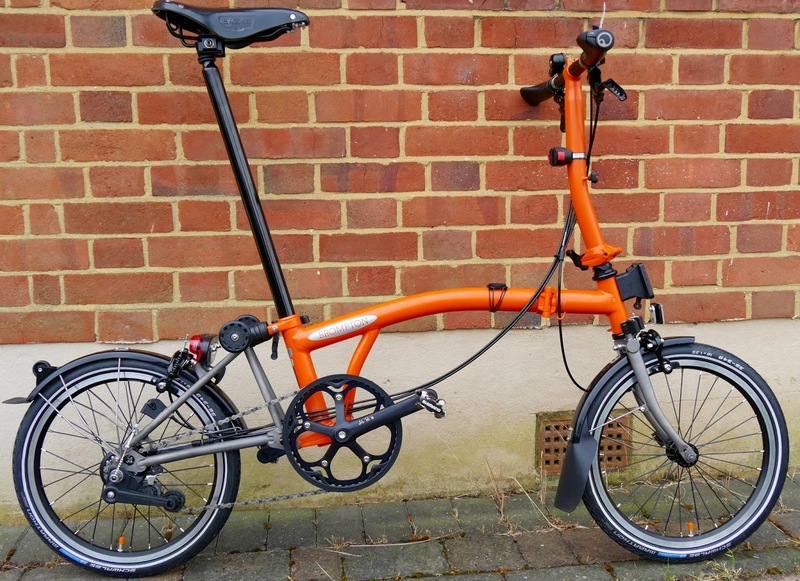 The 'Special Edition' Brompton bikes released have been a bit of a yawn moment for me. The black parts on the all black edition however I like - as you can see below. 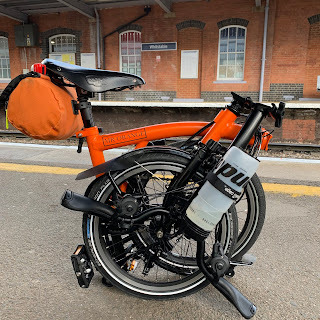 Still, it has taken Brompton quite some time to get the black parts out there as spares for existing customers of the folding wonder to buy. This is where Brompton is in my opinion are far too slow. 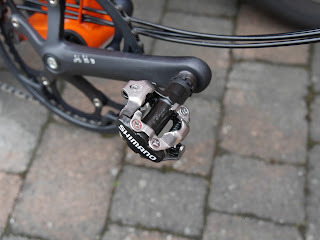 Following this theme there is rumour of an all new shifter. The current ones are functional but everyone says that they are cheap and plastic and don't do anything for the bike. 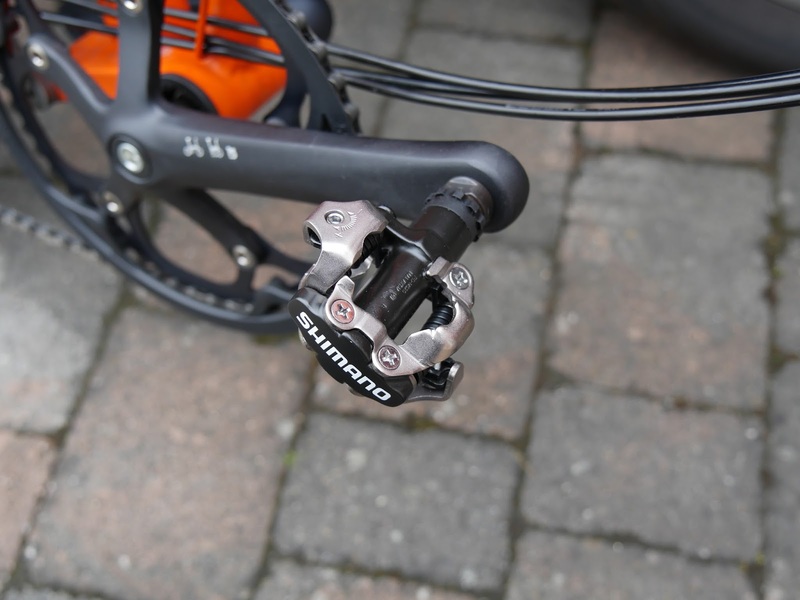 How long will it take for Brompton to release these as after market upgrades? Anyway, rant over I am rather pleased with the results. I have as you can see created my own special edition that has lovely titanium! I had some Christmas and birthday money left over and seeing that the much fabled black parts were on sale, I knew what I wanted to spend this on. 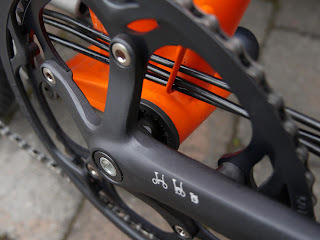 The crank looks a great deal better and in addition to this I had the bottom bracket replaced to the newer version. My old pedals were not black enough so I swopped them over for some that I had bought ages on an online sale for a bargain price and were still boxed and waiting for the right time. The wheels, front and rear just had to be done and I do like the overall look. Leaving the standard ones on just didn't look quite right. 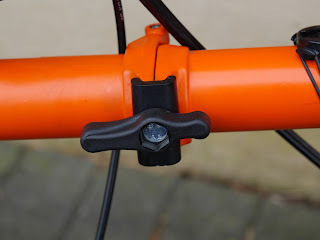 Along with a new black seat post I opted for a black S bar and brake levers. I also added some black Ergon bioleather grips. These in particular are wonderfully comfortable as well as looking good. (I used these on the overnight London to Shoreham-by-sea and for me at least would say that they are better than the rubber or biocork versions). Black clamp plates had to be done and I like the contrast of black and orange. Finally I had a black headset fitted to finish things off. The black Brooks saddle is the one when opening I cut my hand and was out of action for the best part of three months! Believe it or not I bought it in the hope that Brompton would eventually release black parts so that this little project might be realised. I have written before that I will almost certainly never buy another new Brompton bicycle, although there are a few caveats to this. 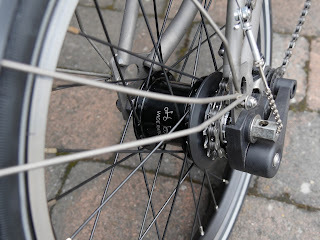 If they manage to produce a bike that is lighter than my titanium one that also has some more polished components, better gearing and doesn't cost a small fortune, I might. 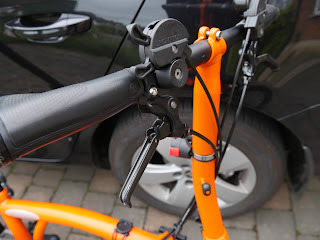 The new version of my trusty Titanium Orange Brompton will certainly keep me happy for some time to come and I am pleased that I was able to do it. I have two very different Brompton bicycles but it is no secret that I will be buying a road bike in the not too distant. 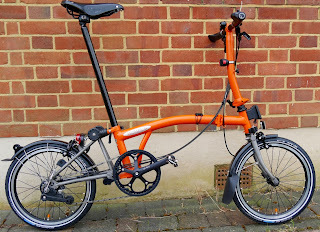 How long I remain in the possession of two Brompton bikes after that I cannot say for certain. For the time being I have to report that I am VERY pleased with the results. There are a few folding bike races this weekend which I am hoping to attend. 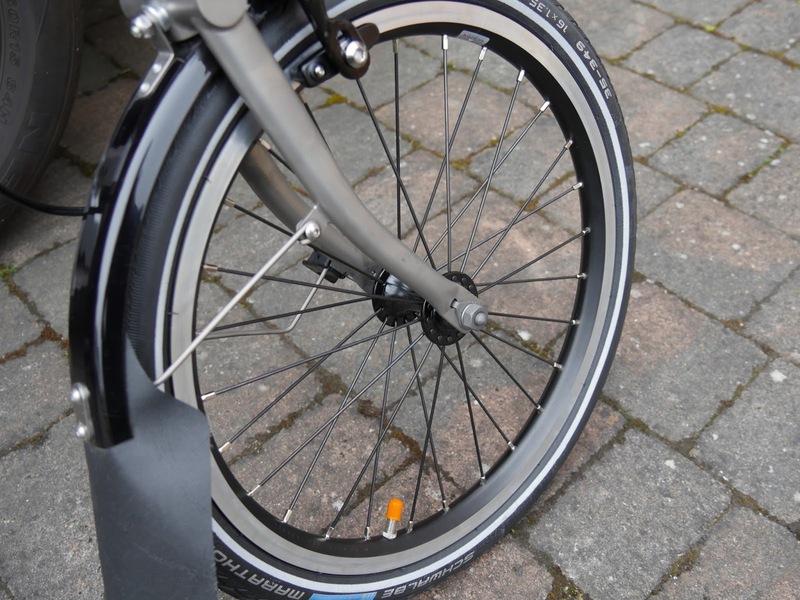 If I do, you know which of my Brompton bikes is going to be coming out to play?! Nice. i also have a titanium older orange version and the new black edition. might exchange the titanium parts to the black edition. what about painting them with pasti dip in black too ? might not attract so much attention then but still much lighter. Brilliant Bikes, quite simply brilliant!